Are DIY Hardwood Stairs Really Worth the Effort? Hardwood floors are well known for their durability, and stairs are easily the highest foot traffic area in any home. That heavy traffic and constant use of stairs can lead them to look old or worn out, well before the rest of your flooring. 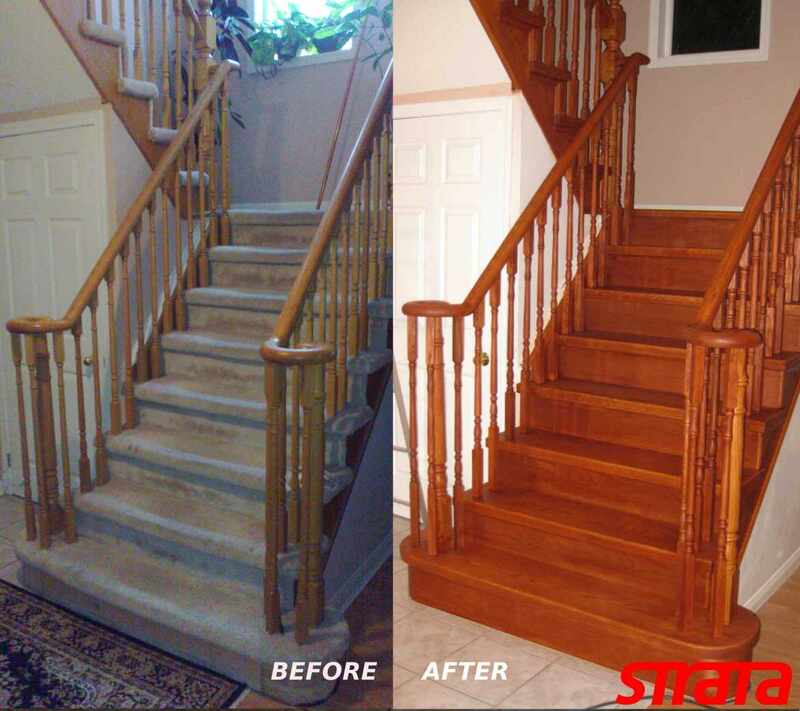 I always recommend hardwood stairs as a way of increasing durability and the lasting beauty to your home. But I never recommend DIY hardwood stairs due to the installation complexities. Installing hardwood flooring on stairs is a very intimidating procedure. There are several difficult steps involved in the installation, which a DIYer might not fully comprehend. Even the smallest miscalculation can cause costly setbacks, while reducing the overall appearance and value of your home. Ask any Reno/Tahoe Real Estate Professional if a beautiful set of stairs doesn’t dramatically increase the value and sell-ability of a home. A professionally installed, gorgeous hardwood staircase is often the first thing commented on by guests and prospective buyers (or renters, as the case may be.) 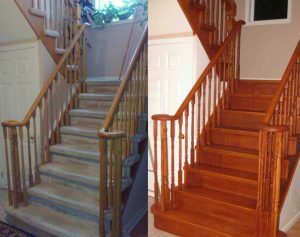 Even if you plan on keeping your home for decades to come, DIY hardwood stairs are rarely the best way to go. Hardwood must be precisely cut for the treads, nosing, risers, stringers, blocking, brackets, carriage and all the rest of the pieces which constitute your stairs. This is usually the most overwhelming part of the process for most DIYers. If all the pieces and interconnecting parts are not fitted to the exact millimeter, your stairs can become a hazard rather than a highlight. Factor in the added costs of buying additional materials to replace “mistakes,” and you can begin to see where DIY hardwood stairs might not always be the best idea. Artisan Hardwood Floors is the premier hardwood flooring installation company in the Reno/Tahoe area. We have the experience, know-how and old-world craftsmanship necessary to make your staircase into a work of art. A beautiful, lasting centerpiece which will enrich the look and feel of your home for years to come. Being well trained professionals, we’re also able to engage in the best practices necessary to reduce expenditures and potential waste. Meaning we can often cost less than a DIY hardwood stairs install. Please feel free to contact me at your earliest convenience for a conversation about your goals and needs. I love meeting new people, and of course your initial consultations are always complimentary.